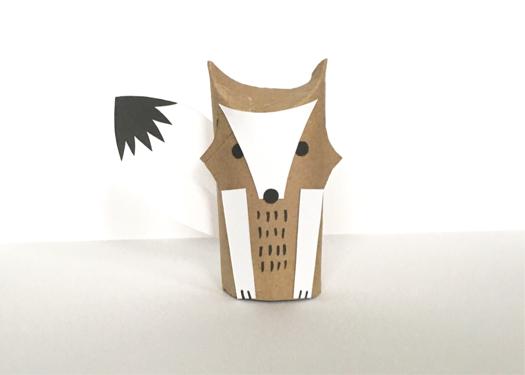 This little fox craft is simple and easy to make, I just love little foxes and so will your little ones. Here's a perfect craft for a rainy day or perhaps you're teaching the letter "F" to your students! Be creative and make your fox different colors! Step 1. 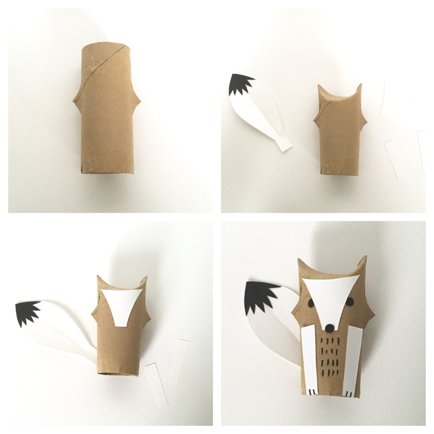 Start with a toilet tube and cut little triangular shapes into the sides of the tube, fold them out slightly to create the fox's signature look. Step 2. Bend in the top of the tube to create the ears. Step 3. Cut out a bushy tail, a face and arms from white cardstock, glue them to the tube. Step 4. Draw on some details with a sharpie, or magic marker.